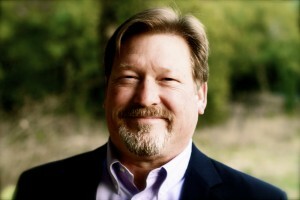 Dan Pickens is Business Director for Moor Insights & Strategy’s Datacenter business and is responsible for operations and customer relations for server, networking, storage, converged systems, and enterprise software clients. Dan has over 25 years’ experience in marketing communications, media relations, analyst relations, positioning, and messaging. Prior to joining Moor Insights & Strategy, Pickens created and ran his own marketing and communications consultancy. He spent 12 years with Advanced Micro Devices (AMD), the last three as senior product marketing manager for commercial PC and server processors. Prior to that, he created, and for six years managed, the global industry analyst relations program. Initially at AMD, Pickens spent two years creating and executing national and international public relations programs for the desktop and notebook businesses. He spent 11 years with the Austin – Travis County Health and Human Services Department where he managed internal and external communications programs and served as the primary spokesperson for the agency. After graduating from the University of Texas – Austin in 1984 with a Bachelor’s of Journalism degree, Pickens began his career working for newspapers in the Texas hill country and freelancing before turning his talents to public relations. Dan is committed to supporting and serving his community. He is a past president and past board member of the Public Relations Society of America – Austin, TX chapter. He served five terms as the president of the Rolling Oaks Club, Inc., which provides swimming and other recreational opportunities for the residents of his neighborhood.